Peter, now that Clara has left the show, do you have a preference for a particular companion type as her replacement? 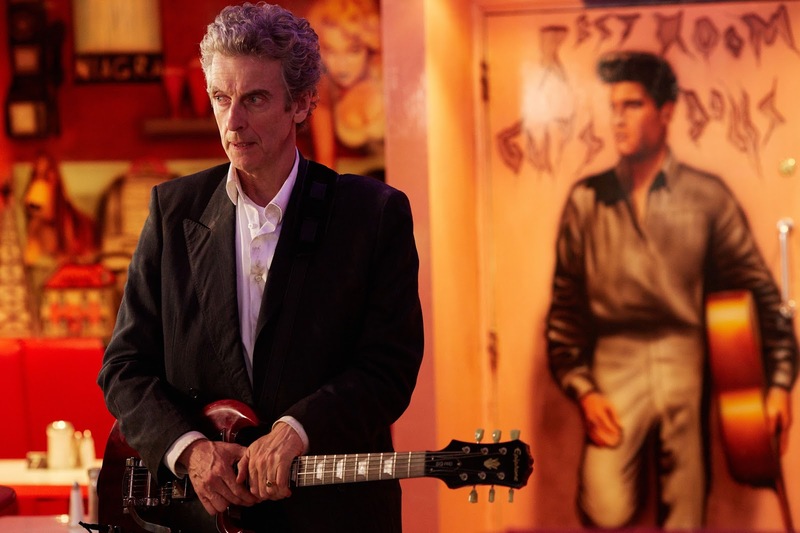 Peter Capaldi: I think I’d like somebody very working class, or someone who sounded much more like that. 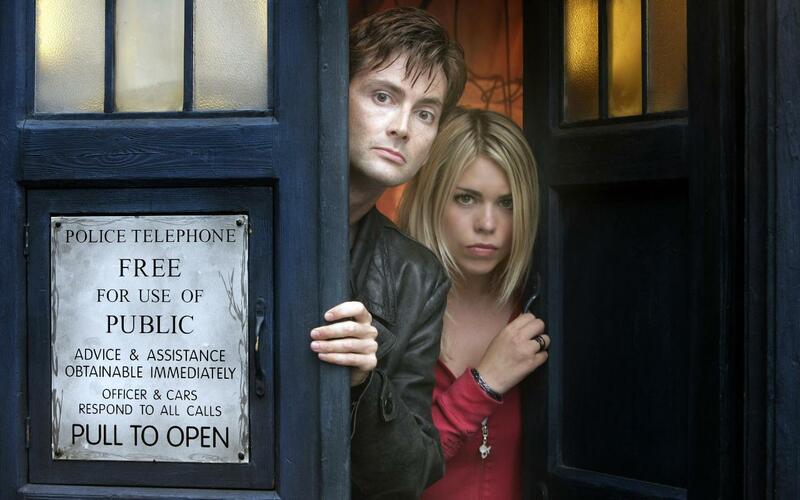 I know that Jenna’s from Blackpool but one of the things l liked about Billie Piper [Rose Tyler, companion in seasons 1 and 2] – and it was a very new thing in Doctor Who – was to have somebody who clearly lived on an estate and had a much earthier sound to their voice. I actually feel quite bad talking about [Jenna] like this and the possibility of having someone else, so it’s no reflection on her, but I think it might be interesting to have someone who is just a little more… earthy. Would it be another female, or could it be a male? PC: I don’t mind. Whatever works. Same question to you Steven. What’s the best profile for the next companion or assistant? Steven Moffat: I think that’s the wrong way to think about it. We all say ‘companion’ for historical reasons. Actually, I think the Doctor is more like the companion. I know everyone gets furious when I say this but it’s true when you look at the show. It becomes their story and how their life is changed and altered by their contact with the Doctor. That’s what happened with Ian and Barbara [the show’s first companions in 1963] and with Rose Tyler; it’s how the show works. The origin of the show was never how he steals a TARDIS from Gallifrey, it’s about someone else happening across a police box with an amazing man inside. SM: No we haven’t. Sorry, you can put your CV away! 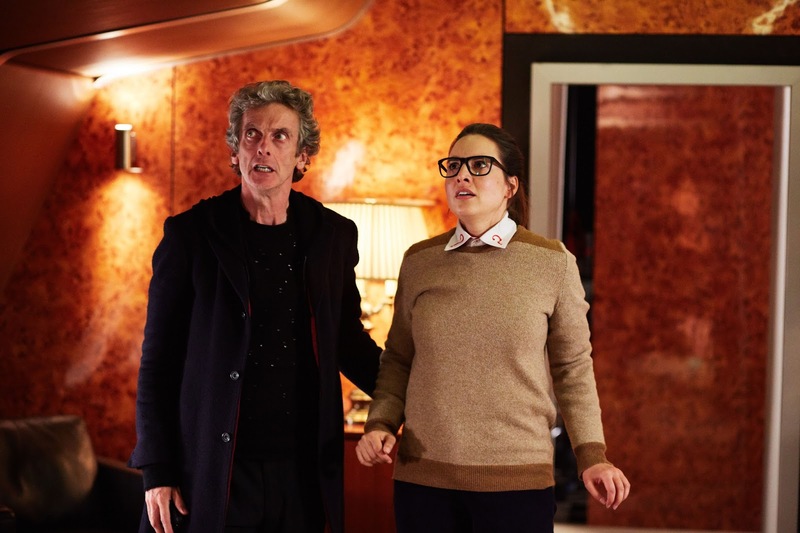 When it was first mentioned that Jenna was leaving, there were suggestions that Osgood [Ingrid Oliver] might be taking her place. Was that something you were happy with people thinking, particularly as the Doctor invites her aboard the TARDIS at the end of The Zygon Inversion? SM: She’s a great character and we love her. Whether she’s right person…? Whether you really get a relaunch out of bringing someone aboard the TARDIS who has already been there, I don’t know. It did work very well with Catherine Tate [Donna Noble – Season 4] but that’s not a direction we’re currently going in and I quite like where we’ve got Osgoods at the moment. 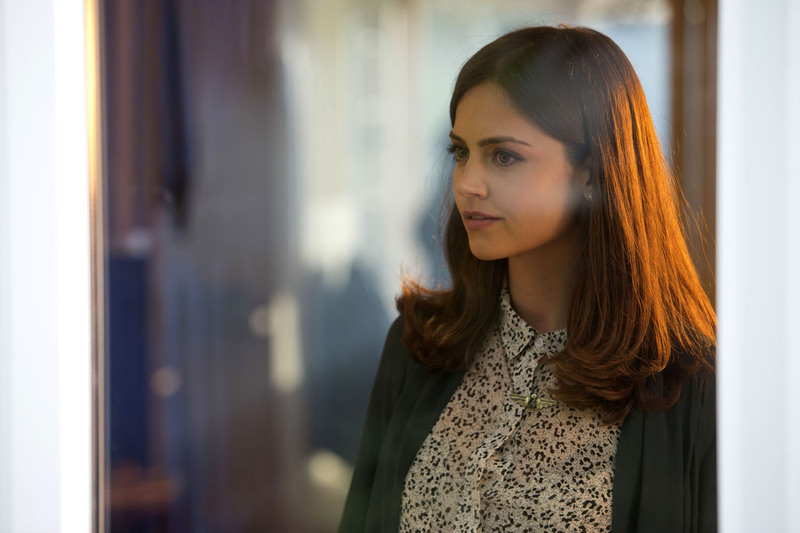 So that means the new companion will be someone completely new? SM: I’m not giving any promises, that’s just my genuine belief at the moment because to throw away the chance to say ‘You can start here’ is foolish. If you say ‘You can start here, but it’s somebody you have to know all know all about,’ then you’ve lost that opportunity. I think whenever you get a new companion, more so than when you get a new Doctor, it’s the new beginning – this is where it starts. Did you see the tweet from Hayley Atwell where she said she wanted to be Doctor Who? Is it one of those things like requesting a knighthood or a box at Wimbledon where putting your hand up immediately excludes you from the equation? SM: No, it’s not. I don’t think like that at all; you can put your hand up, and people should. It’s probably unlikely to work out that way. But we’re in a world where David Tennant became an actor with a long-term ambition of becoming Doctor Who – and rather to his own surprise it worked! That’s why I became a writer and why Russell [T Davies, showrunner Seasons 1 to 4] became a writer. It does work. It doesn’t work all the time. Or even that often. Mark Gatiss suggested he’d like to do a future episode about the consequences of fracking. PC: Absolutely. That would be great. I’d love to do a fracking episode. I could then use the word ‘Frack’ quite a lot. [Chuckles] Frack off! Can I say that? Malcolm Tucker [Peter’s famously foul-mouthed character from The Thick of It] could say that! PC: Yes. I don’t know what we’d find… Silurians, I’d imagine, of some description. [Phone vibrates in his pocket and he checks the message]. I’ve been sent back to real life again. Nine months later someone texts you to say ‘Have you organised for the gas meter to get read?’ I can’t do that – I’m Doctor Who! I’m discussing matters of fracking! With the recently-announced Doctor Who spin-off Class soon to enter production, what will your involvement be, Steven? Patrick Ness is the showrunner? SM: Yes he is; he’s the showrunner. I’m one of the other executive producers who doesn’t have to do the real work. I’ll help him out when I can. Patrick has got a very clear idea about what he wants to do. It’ll be about helping him that get that to the screen. I suppose not unlike when I’m working on a Doctor Who episode not written by me by a very powerful writer who doesn’t need me to rewrite. 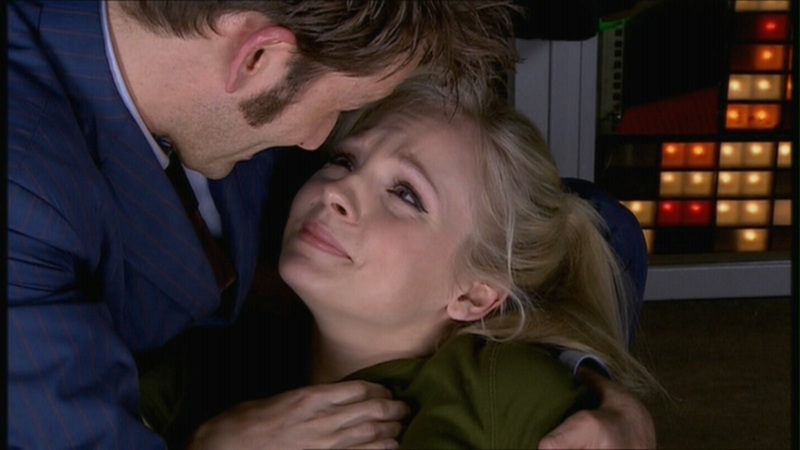 Are there any plans to see the Doctor’s daughter again? SM: You mean Georgia [Moffett, from the Series 4 episode The Doctor’s Daughter] – Jenny? I haven’t got one at the moment. Apparently that was my idea [not to kill her]. I didn’t know that it was my idea until I heard the commentary in which it was mentioned. And then I checked back through my emails until I saw that indeed I did say ‘Oh don’t kill her, that’s what Star Trek would do.’ That’s all I meant – don’t tidy it away. Leave her out there. It’s quite exciting that maybe one day it’ll come up. Russell’s reply was: ‘What you didn’t know is that she flew straight in to a moon!’…I don’t think she flew straight into a moon. You mention Star Trek there, which is coming back as a TV show. Crossovers are all thing at the moment in the Marvel Universe. In all seriousness do you think there’s a possibility Doctor Who could cross over with another show? SM: If it with crossed over with Star Trek it would have to be real Star Trek with Captain Kirk and Mr Spock. Would I do it? Yes, in a heartbeat. I think you might find the Americans a little trickier to deal with. Looking at Season 8, it has boasted diverse representation in its guest casts in terms of gender and disability. How important is this on a show like Doctor Who? PC: I think it really important. Doctor Who remains a good thing in the world and that’s why people like it. In some ways it’s harmless fun, but it reaches people at a time in their lives when they can be quite malleable, so I think the attitudes the show expresses are important. It’s good we have a diverse… actually it’s not diverse, it’s just normal – it’s the way the world is. We have women in the show – which I believe they also have in the world! [laughs] …and disabled people and… whatever. That’s the way it should be and I think it’s appropriate for any show. Steven, are there still any dissenting people who would say that there aren’t enough female writers and directors on the show? 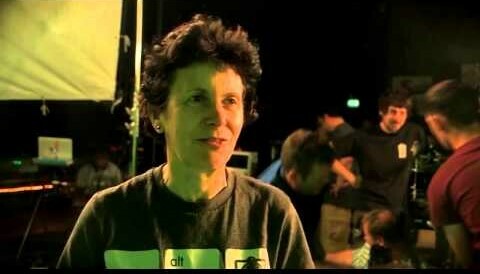 This year you’ve had writers Catherine Tregenna and Sarah Dollard, as well as directors Hettie MacDonald and Rachel Talalay. SM: I hope it never stops. People should be saying that – it’s right and proper. The only thing I dislike about people saying it is that it’s based on an assumption that I’ve been trying to stop or not employ women writers and directors. 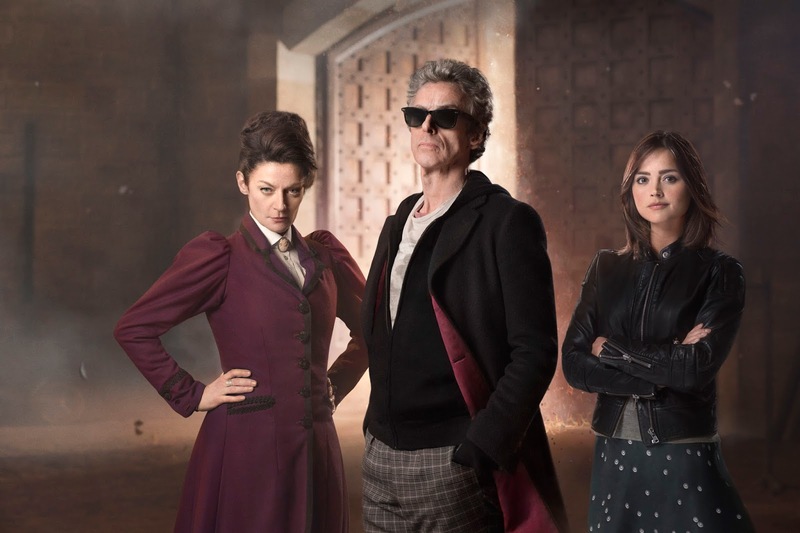 We’ve got more women writers, directors, and editors now than in any other era of Doctor Who. Is it enough? No, we should have more; it should be – seen as the human race works out at about 50 percent male/female – 50 percent on the show. Why isn’t it? Part of the reason for that is historical. Doctor Who for a very long time was a boys’ show. It’s not any more. It’s a boys and girls show now. 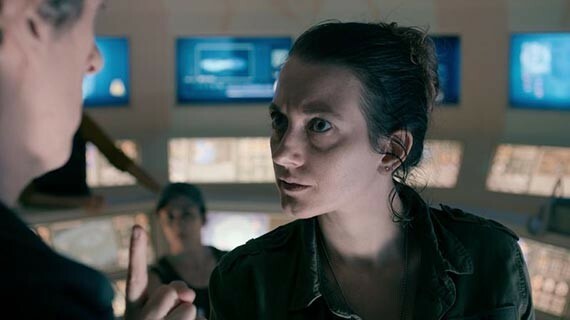 Most of the people who have turned Doctor Who down have been female. That’s the truth. Or they say, in the case of one famous female screenwriter, ‘Speak to me in 18 months’ – permanently – always 18 months in the future. But stop assuming that I’m a demon who’s trying to prevent it as opposed to being the man who has done more to make it happen than anybody else. Yes, it’s still not enough. It should naturally – without trying, without even thinking about it – be 50%. Before Doctor Who came back, if I went to a Doctor Who convention it was all boys/men. And it wasn’t the men, to be completely honest, that women were particularly interested in. Now you look at Doctor Who panel audience and it’s 50 percent men and 50 percent women – and that’s the truth. So I think in ten years’ time or five years’ time it will be dead easy because little girls are growing up right now with the belief ‘When I grow up I want to be Doctor Who’. Peter, we have to ask – what’s with the walking stick? Is it a new prop for the show? PC: This is the Doctor Who injury. [Points to knee]. When I first met Matt Smith I took him to lunch and he came in on crutches. I said ‘What’s happened to you?’ and he said ‘It’s this f*****g show mate.’ I said ‘What do you mean?’ and he said ‘I’ve had keyhole surgery due to spinning and pivoting on my knee’. I said ‘That’s a shame’ and thought ‘God, he’s about 30 years younger than me and on he’s on crutches!’… And now I’ve got exactly the same injury! In the old series you’d have taken the week off and left matters with your companions – like Patrick Troughton or William Hartnell used to do. PC: Yes, but we couldn’t do that. We waited until we’d finished filming everything. We’ve done the Christmas special and all of that. But no, I’m bouncing about now as usual. So, it’s not a sonic walking stick? And on the subject of sonic devices, what have you made of the Doctor’s switch from Sonic Screwdriver to Sonic Sunglasses? There’s even a petition demanding its reinstatement! As I think is fairly crashingly obvious to me, it’s not a permanent change, we’re just having a laugh. I wrote them in] because the Doctor needed to sneak into Davros’ office and pretend he didn’t have a sonic screwdriver. But then I thought if I was Doctor Who and I had a pair of sonic sunglasses – and Clara was looking faintly appalled at them – I’d carry on wearing them just to wind her up! And I think he thinks it’s quite funny. But we’ve forgotten that the original sentence ‘sonic screwdriver’ is funny. 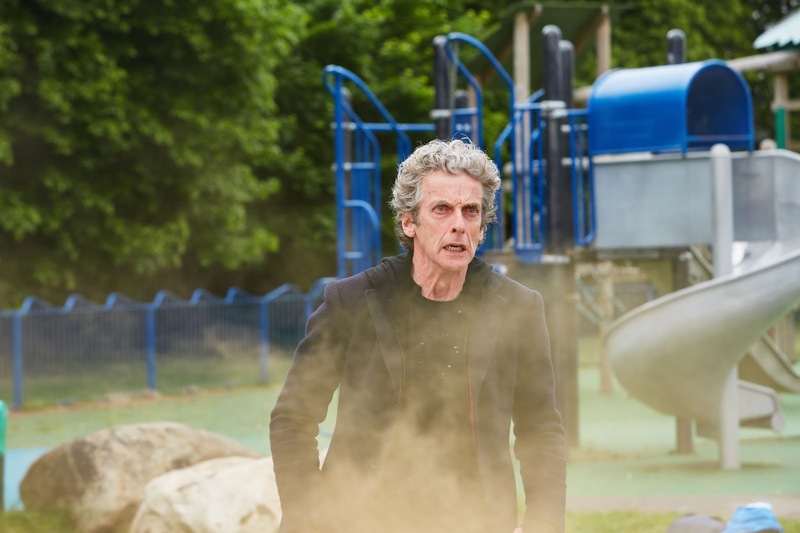 I do think every kid with glasses is now Doctor Who. If you can find pair of sunglasses in the house then you don’t have to buy a sonic screwdriver toy, you can just play with them. I don’t think he will ever lose his sonic sunglasses because kids think that’s funny. People who think we should slaughter more other people who are very cross about the stupidity of sonic sunglasses? What can you say? Now, when they were petitioning about the TARDIS not becoming a toilet back in the day, the petition was funny. Where’s the humour for goodness sake? 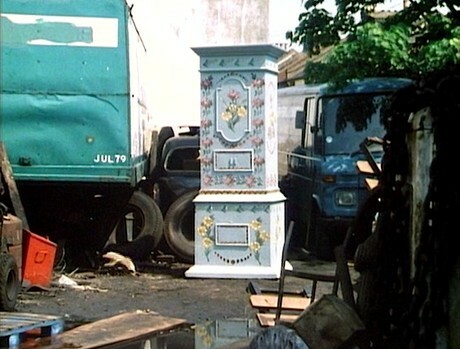 Maybe next year you could play about with the exterior of the TARDIS for an episode? SM: They did that in Attack of the Cybermen – which I thought was a great gag – and it kept showing up as something else. I certainly wouldn’t be adverse to it. People would say: ‘I think it’s perfectly fine for the Doctor to travel in a phone box but an organ is ridiculous.’ You have to love that mindset! Peter, you must be amazed at the continued interest in the show. As an actor now of established standing do you think you could have coped with all of this media attention as a younger actor? PC: I don’t think so, no. I think I’m very lucky to be this age – although some things are not that great! [Points at knee again] I think as a younger actor I’d find it very difficult. We went on this world tour [summer 2014], which was great. People say that the programme is successful internationally but until you go out there and actually see what’s going on in South Korea, Australia, Mexico or Rio, and meet thousands and thousands of fans… The show’s played in these places for a long long time, so it’s part of their upbringing. We were looked after really well and I remember thinking ‘I’m really glad I’m not 21 and I’m not in a band because you’d think that this is what life is… being adored and living in nice hotels.’ I, as a grown up, know this will come to an end, so [I] just enjoy it while it’s happening. Do you have any regrets in turning down the audition for the Doctor Who movie in the 90s? The role that went to Paul McGann. PC: No. Because I loved the show so much I knew that I wouldn’t get the part, so I didn’t want to put myself through that experience. Why would you? What would be the point of doing that? Paul’s a big star – they were always going to give it to a big star – I wasn’t a big star like Paul. I was wise enough to know that. I love Paul, he’s fantastic and he was great, but there was no way I was going to get that part. They just added me as a name on the list and I decided I didn’t want to go near that. It was tempting but I knew what would happen. The only point of doing it would be to say ‘I was this close [he squeezes his thumb and forefinger together] and got to read the script’. 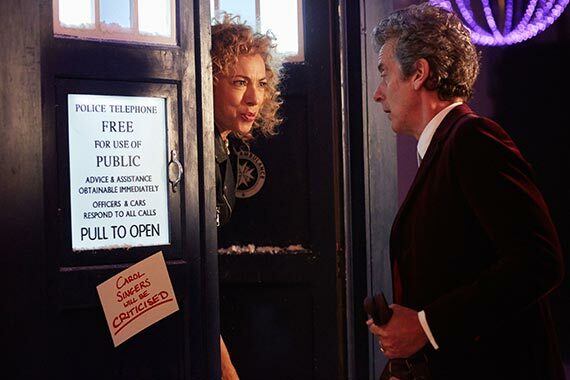 Before we leave Peter and Steven, what can they say about Christmas Day with River Song? Spoilers, sweetie! But we’ll be back in a couple of weeks to get the lowdown on the annual festive treat.